To the democrats, strugglers and defenders of people’s rights. 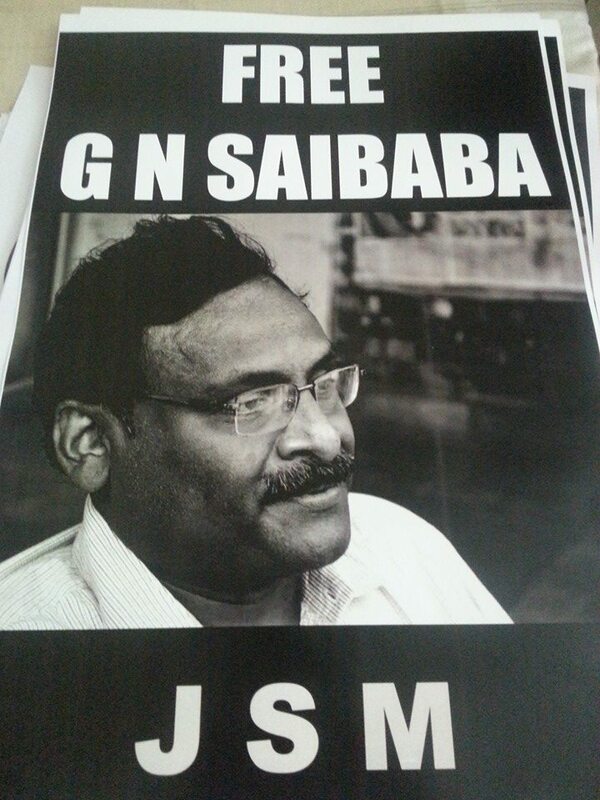 Cebraspo call everybody to participate in the international campaign to free Dr. GN Saibaba. Even as police investigation is going on to establish that Delhi University Professor G N Saibaba, who was arrested by the Gadchiroli police, had alleged links with Maoists, a signature campaign has been initiated in his support, which will be submitted to the Chief Justice of India. Till now, the campaign has garnered 2,000 signatures across the country. The online campaign has been started by Karen Gabriel, an associate professor at St Stephen’s College in Delhi. “Till now, around 2,000 people have signed up for the release of Saibaba. We will submit it to the Chief Justice of India R M Lodha in couple of days time. Anybody, who raises his voice against atrocities on tribals, is branded as a naxal. And the moment the authorities brand someone as naxal, he is denied of any help, it even silences the voices supporting that person,” said Gabriel. Saying that it violates freedom of speech, Gabriel added, “Soon, anyone disagreeing with the policies of the state will be labelled as naxal.” In the petition, Gabriel has stated that Ministry of Home Affairs has reportedly issued instructions that persons and organisations raising human rights issues in Maoist affected areas must be arrested and interrogated. Adilabad Judicial First Class Magistrate Mary Sara Danamma on Friday issued summons to a doctor, Neelakanteshwar Rao, the surgeon who had performed post-mortem on the body of Maoist leader Cherukuri Rajkumar alias Azad in July 2010, to appear before the court on June 11. The summons were issued after the Magistrate accepted the plea of petitioner K. Padma, wife of Azad, to include the surgeon as a witness in the case related to the alleged encounter of the top Maoist leader. The petitioner had made the plea on March 27 but the CBI objected to it on the ground that no case was made out as the doctor had already been questioned as part of the investigation into the encounter. The petitioner, however, contested the contention of the CBI which resulted in the Magistrate issuing summons. Dr. Neelakanteshwar Rao, to be the 4th witness in the case, was asked to appear in the court with relevant records including the post-mortem examination report. 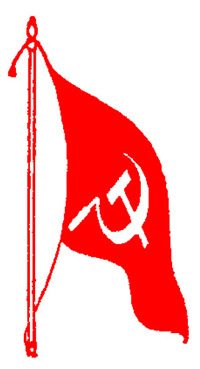 A former office-bearer of a village panchayat samiti in the district was killed by Naxalites, police said today. 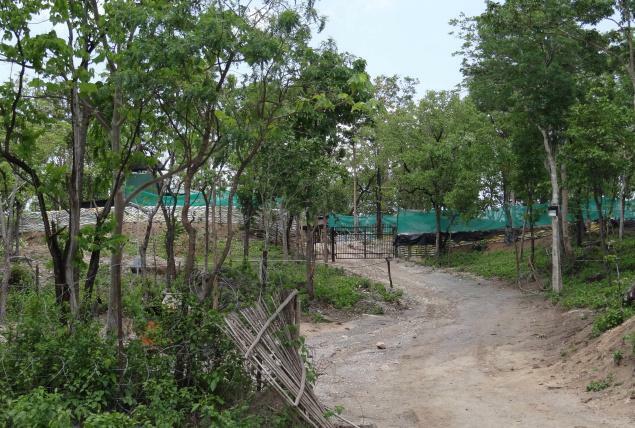 Around three-four armed Naxalites barged into the residence of Etapalli panchayat samiti’s former deputy chairman – Ghisu Mattami – last night, when he was sitting in the courtyard with his wife, and fired at him, they said. The Naxalites immediately fled from the spot. Mattami was admitted to a rural hospital at Etapalli where he was declared dead by doctors, police said. Mattami’s wife Lalita, the present chairman of Etapalli panchayat samiti, escaped unhurt in the attack. Police have launched a search for the assailants and are conducting further investigation. 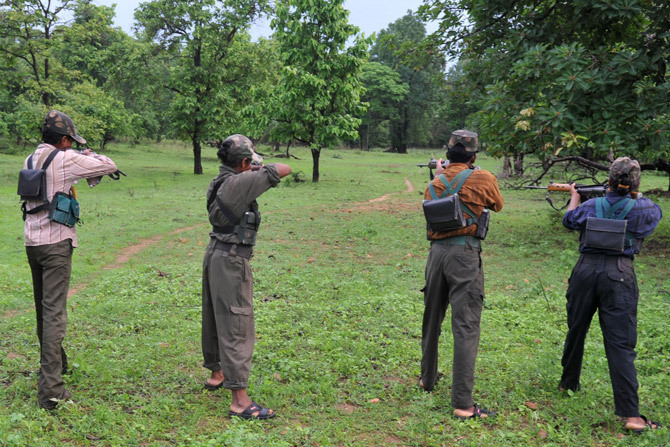 This is the third major attack by Naxalites in Gadchiroli district this month. The campaign FREE SAINBABA should continue in June, exposing the new Modi’s regime, the Operation Green Hunt, and persisting in the defence of political prisoners and support for International Delegation. Also the 19th June can be used for this. It is possible the participation of 1-2 representatives for country active in the campaign. 2. The International Conference of support PW India for the 10th anniversary of foundation of CPI(Maoist) will be realised in Italy on 27-28 September 2014. All committees, parties, organisations – Maoist, anti-imperialist, revolutionary, internationalist – can take part with one or two representatives. Each country can realise national mass event for this, before or after the International Conference. In the latest incident of Maoist violence in Odisha, armed Maoists set afire several equipment and vehicles at a road construction site in Rayagada district, police said today. Police said there has been no casualty in the incident. A group of armed rebels set fire to three tractors, an excavator and a motorbike belonging to a contractor engaged in construction of a road between Guma and Khambesu village around midnight on Wednesday, police said. The rebels managed to escape into the nearby forested area immediately after the attack leaving behind a poster warning the contractor to stop construction of the road, police added. KOLKATA/ WEST MIDNAPORE: In an effort to keep a close watch on Maoist movement in West Midnapore, the IB has decided to recruit young persons from the bordering villages. They will be recruited in different central government departments and projects but their main work will be to keep a watch on the Maoist movement. This is a pilot project where initially 40 youths will be recruited. If the project becomes successful then it will be replicated in other districts also. According to sources in the intelligence department, Maoist activities have increased not only in the districts like Purulia, Bankura and West Mindapore but also in the districts like Nadia, Birbum and Murshidabad. “Considering the increase of Maoists activities in the state, the intelligence department has decided to increase the information network and for that new people will be recruited mainly from the bordering villages of Gopillabvpur, Nayagram Jhargram and Binpur,” an officer in the intelligence department said. Sources in the district administrative department confirmed that they have received a letter from the intelligence department where they have been asked to train some youths so that they can work as a part of the concerned department. The intelligence department has mainly asked the civil defence, public health engineering, water resources department and public works department to train the youths. “We have been asked by a central government agency to train some youths and engage them in different kinds of works,” an official in the public health engineering department said. “This is a pilot project where nearly 40 odd youths will be recruited from 18 bordering villages like Amjhuri, Adharkali, Atnasol, Sagarmoni, Adharia, Baghaberia, Bajuri under Gopiballvpur block, Amjam, Andharisol, Arra, Babuidanga, Malam under Nayagram block and Aguboni, Asnaboni, Asnapara Chotodigiha under Jhargram block. Apart from that, some recruitment will also be done from Binpur, Lagrah and Kantaphari. If the project becomes successful then the model will be replicated in other districts,” the officer of the intelligence department said. We, the undersigned, would like to express our disquiet and concern over the manner in which the government is increasingly resorting to the unchecked and indiscriminate use of custody. In fact indiscriminate arrest and dentention are fast becoming the norm, begging the crucial question: when is arrest to be effected and on whom? In particular, the draconian Unlawfal Activities (Prevention) Act (2008) (UAPA) is being flagrantly misused and abused indiscriminately to harass, intimidate and dissenting voices. There is an increasing and evident tendency to overcriminalise individuals, events and actions if the government disapproves of them. This is part of the escalating effort to impede free speech and even thought, in spirit and in letter, contrary to the Constitution of India as well as International principles of Human Rights. Such actions become pernicious in the context of the wide-ranging powers and impunity that have been available to the police and paramilitary forces under this Act. This is illustrated by the fact that the Ministry of Home Affairs (MHA) has reportedly issued instructions that persons and organizations who raise issues of human rights violations in Maoist areas must be targeted and arrested. In the recent abduction of Dr. G. N. Saibaba, the misuse of UAPA, the powers to arrest and detain and the disregard for due and legal process were particularly shocking. Dr. G N Saibaba, Asst. Professor with the Department of English, Ram Lal Anand College, Delhi University, was arrested by the Maharashtra Police on Friday, 9 May 2014, for his alleged links with Naxal leaders. The manner of the “arrest” was deplorable. He was appointed Head Examiner by the University for several papers of the University examinations, and is the Teacher-in-Charge of his department at his college. He has been an active member of the Delhi University community, a very popular and respected teacher, and an important voice on democratic norms within and outside the university. He has been a vocal and important critic of the Indian state’s policies with regard to its paramilitary action in Central and Eastern tribal areas, commonly known as Operation Green Hunt. Along with other intellectuals, he has drawn attention to the blatant human rights violations of the adivasi peoples of these regions. In particular, he has pointed out the enormous financial stakes in claiming the region for private industrial and commercial development at several national and international forums. Along with other intellectuals, he has criticized such models of “development” and their usefulness for the local populace in any participatory democracy. His sustained critique has earned him the ire of the powers that be. For some time now, they have been looking for a way to silence this very significant voice. The raid, conducted by over 70 police personnel from the Gadchiroli and Delhi Police, was based on the fabricated charge that he was keeping unspecified stolen property in his house. Though the police ransacked his house, they found no stolen property. Dr. G N Saibaba is a scholar and public intellectual of It is in this context that Dr. Saibaba’s house was raided barbers to sign the list. The PUCL in its report on the matter that was cognised by the NHRC, called the Police raid a “fishing expedition”. The police subsequently subjected both him and his family to relentless mental harassment and tension. For several months now, he and his family have been living with the threat of his being picked up at any time, because the entire process seems to have been part of an exercise in framing Dr. Saibaba by planting the so-called “incriminating material” in his laptop, etc. Following this raid, in January 2014, a team of police officers led by Suhas Bawache, interrogated Saibaba at his house for over 5 hours.When he was eventually arrested, it was more in the nature of an abduction rather than an arrest. We are told by his driver that his car was forced to the side of the road by a Santro car carrying 5-6 plainclothes policemen. The plainclothesmen blindfolded, roughed up and forced his driver into the Santro, and took Dr. Saibaba away in his own car. The driver and the car were illegally detained at the Civil Lines Police Thana for several hours. His wife and daughter had no knowledge of Saibaba’s whereabouts, and were informed only much later that Saibaba had been picked up. She was not shown any arrest warrant, charge-sheet or any other document that could authorize or justify the arrest. The bafflingly clandestine process was in blatant violation of the due process of law, and should be a matter of concern for every Indian citizen. Several questions arise: why was Saibaba arrested less that 300 metres from his home? Why was he not allowed to collect his medicines and clothes? Why was his wife informed about this arrest only two hours later? Why was the driver blindfolded? We would also like to draw your attention here to the fact that Dr. Saibaba is wheelchair bound, suffers from 90% disability and post-polio residual paralysis of both lower limbs. He poses no flight risk whatsoever. He is also a heart patient with blood pressure issues. Furthermore, he suffers from chronic and intense back pain as a result of the disability and being wheelchair bound. He has always cooperated fully with the investigation and did not need to be arrested – and certainly not in this manner. We would also like to point out here that the National Human Rights Commission has already issued notice to the Maharashtra and Delhi police forces, for violation of Dr. Saibaba’s rights in the course of the earlier investigation. Metropolitan Magistrate at Aheri on 10/5/2014, and upon the verification of the fact that Saibaba suffers from 90% disability, the civil court could have exercised its discretion under the Provision of Section 437 of the CrPC which clearly states that the court can direct a person to “be released on bail if such person is under the age of sixteen years or is a woman or is sick or infirm”, instead of remanding him to further custody. This is further fortified by the fact that the police itself sought his transfer from Gadchiroli and Aheri to Nagpur on the grounds that jail facilities there were utterly inadequate for the special and necessary medical needs of a patient with Saibaba’s medical complications. It has now come to light that Saibaba is being kept in a highly unsanitary, solitary cell, in darkness and with inadequate facilities. The denial of medication has resulted in constant pain and deterioration of health. Moreover, he is experiencing great difficulty, pain and indignity while using the toilet since it is impossible for him to use the Indian style commode that is provided in his cell. Given his fragile medical condition, we are particularly concerned for Dr. Saibaba’s well-being, and are apprehensive that, given his fragile medical condition, he may collapse physically in police custody. We also understand from news reports that the Chattisgarh Police has expressed a wish to interrogate him. We suspect that several such requests will come from the police of various states and remote corners that he has not even visited and where legal aid is very difficult to find, only to intensify the torture on him. The present Master Case will be vastly multiplied to tie up the life and resources of the family in litigation. Consequently, the family will become increasingly financially vulnerable. Your Honour, we are deeply concerned about the methods being adopted now by the police to silence voices of dissent and criticism. One of the causes of the gross abuse of legal processes is because of the protection afforded by governments and the judiciary. There are thousands of political prisoners languishing. Moreover, on production before the learned in jails today, and the number is only likely to go up. There is a dire need for a more compassionate criminal justice system that will encourage the participation of the people in proving their innocence. There is also an urgent need to level the playing field, which is at the moment hopelessly prejudiced against the individual. Such an intervention can come only from a Superior Court. We look to you for justice, and for the judicial protection of all such critical voices. We further appeal to you to intervene in the increasing criminalisation of voices of dissent and critique. On the matter of Saibaba in particular, given that he clearly poses no flight risk whatsoever, we would very much appreciate your taking suo moto cognizance of the facts of the case, initiating a judicial investigation of the matter and issuing an interim order releasing him from judicial custody, and back to his family immediately. The report of ISCPWI meeting on 3th May is almost completed. It is possible the participation of 1-2 representatives for country active in the campaign. For expenses, every country or organisation must collect money for fares. All others details will be communicated directly. A letter to ICAPWI will be send in this month, we want a public collaboration for this. The international delegation will be realised on all matters. In Europe, travels to Germany, Austria, London, Ireland etc are planned in July and talks with Turkish, Brazilian, Tunisian etc parties and organisations will be held by ISPCWI. It is impossible to hold it in Brazil – for this it will be realised in Italy on 27-28 September 2014. It will be different compared with the Conference in Hamburg – not a mass event. Each country can realise national mass event for this, before or after the International Conference. All committees, parties, organisations – Maoist, anti-imperialist, revolutionary, internationalist – can take part with one or two representatives. 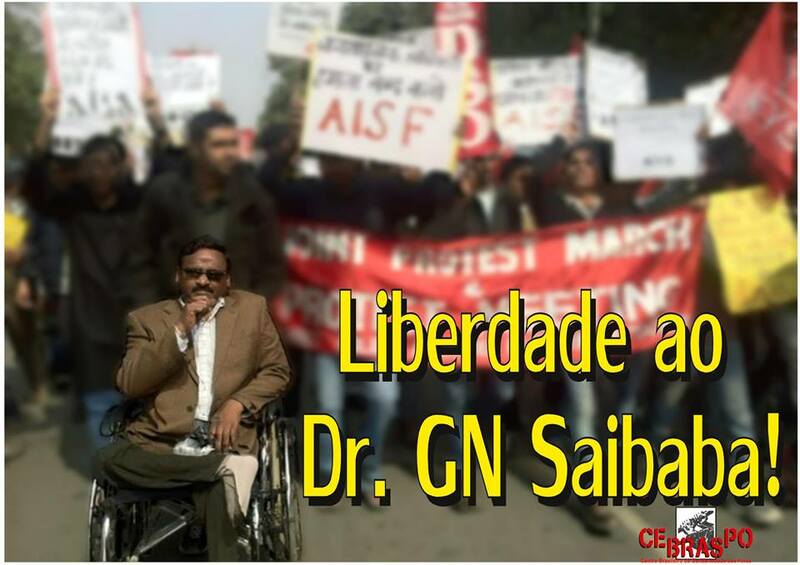 Jan Sanskriti Manch has called for a protest asking for the immediate release of Dr G N Saibaba – Jantar Mantar, New Delhi, Wednesday May 28th, 2014, 3 pm.